The living area is equipped with a comfortable double sofa bed, dining table, TV and 2 balconies. The kitchen is habitable and well equipped with microwave, toaster, dishwasher, coffee machine and everything you need to cook your meals. The two spacious double rooms and balconies. The bathroom is equipped with mirror, sink, toilet, bidet, bathtub and washing machine. There are also two private parking spaces. 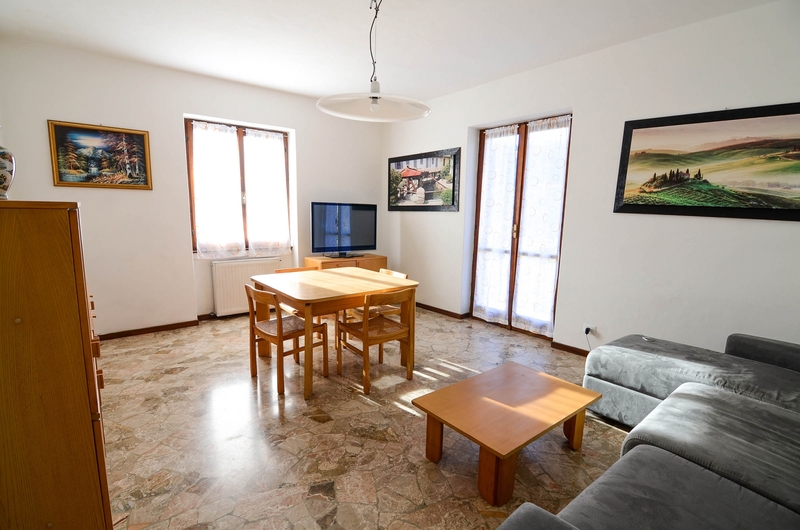 The apartment is located on the second floor of an independent villa situated in a quiet area and surrounded by greenery. Within walking distance there are two supermarkets and a sports center with restaurant and swimming pool, perfect for spending good afternoons in family or friends.